Writerly Ramblings: Book News & Kindle Giveaway! Book News & Kindle Giveaway! I’m excited to announce that my second novel WICKED PARADISE has just been published by F+W Media and is available for download at your favorite online retailer. The print edition (hopefully) will release in the fall for you die hard print book lovers! 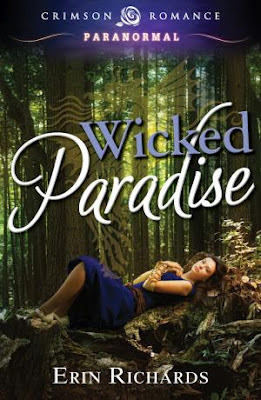 If you get a chance, please “like” WICKED PARADISE on Amazon and Barnes & Noble even if you don’t purchase (you must be logged into your Amazon and BN accounts). The “like” button is located at the top of the book listing on the retailer websites. This helps book ratings and search engines! My debut novel CHASING SHADOWS was just released in print and is available to order online at Amazon and Barnes & Noble, or you can order it from any local bookstore. To celebrate my book releases, I’m giving away a new Kindle to one lucky winner! Enter my Set Sail for Wicked Paradise Contest for your chance to win. No purchase necessary! It’s easy peasy. See details and entry form on my Website. Also, if you play on Facebook, please “like” my Facebook Fan Page. If you “like” my Fan Page AND enter the contest on my website, you’ll earn a second entry in my Kindle giveaway!